School is back in session, fall sports are in full season, schedules are getting busier and the days are getting shorter. It seems there aren’t enough hours in the day to do it all, much less squeeze in some free time for the family to blow off some steam from all the stress. That’s when it’s time to check out Rockin’ Jump, the greatest trampoline park near you. Bringing a new level of healthy entertainment opportunities to your area, Rockin’ Jump offers indoor “gym-ertainment” and wall to wall action. Clean, comfortable and climate-controlled, Rockin’ Jump provides an environment that focuses on safety and cleanliness so parents can put their minds at ease while their kids are putting their bodies through a fun workout. Perfect for those rainy days or rare nights when you and your crew can get away for an hour or two, Rockin’ Jump serves up good, clean fun in the great indoors. Convenient for a quick family night activity or a much-needed study break for the kids, Rockin’ Jump offers fun and challenging play stations that allow the little ones to have a big time. Different kids enjoy different activities, a fact that Rockin’ Jump had in mind when it designed the diverse attractions to put under one roof. 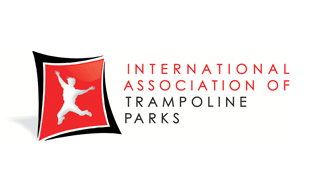 Whether your child prefers more traditional stick-and-ball sports, enjoys the dynamic art of gymnastics, or gets their thrills from extreme sports like the X-Games or parkour, they will find something that’s up their alley at Rockin’ Jump – and maybe even discover a new activity to pursue. Featuring safe and padded arenas that are closely monitored by our Jump Patrol staff, Rockin’ Jump has soft-impact versions of dodgeball and our 360 Slam Dunk Zone basketball where kids can compete in team activities or get creative with their best trampoline-aided dunk. For some unique one-on-one competition, the X-Beam jousting pit features padded poles to poke and prod your opponent into the pit packed with foam cubes for a gentle landing. For kids into extreme sports, the obstacle courses and Vertical Ops rock-climbing wall offer great opportunities to overcome challenges and put oneself to the test of time. Race against the clock and yourself by beating your best time through a series of obstacles, or be the first to scale the 30-foot rock wall and ring the siren. And gymnastics jumpers and kids who just like the sensation of grabbing some air, the Open Jump and Stunt Bag attractions are perfect places to work on your best moves. Kids of all ages can have a blast at Rockin’ Jump, even those “grown-up” kids who are still young at heart. More and more parents are climbing into the arena with their children to share in the fun and sneak in a quick workout. Many adults have discovered that exercising is easier when it’s fun, and that’s where Rockin’ Jump comes in with great ways to work up a sweat and a smile at the same time. Parents can actively participate in all the action with their kids, or give the youngsters some space to play with children their own age while you work out and watch from afar. The obstacle courses, rock-climbing wall and other play stations are great for getting in some exercise, or simply bounce around at the Open Jump area for a nice aerobic workout. Your kids might even invite you to join in a game of dodgeball. Rockin’ Jump also offers weekly sports leagues and special hours for toddlers and parents to get some isolated play time. You’ve heard the expression “the more the merrier”? That principle also applies at Rockin’ Jump, where friendships are formed and memories are made on the trampolines and padded mats. Pick a night for the whole family to play together, and invite along a few friends to add to the fun. It beats another night out at the movie theater or the bowling alley. Rockin’ Jump is also known for throwing the best birthday parties on the planet, with 10 or more guests joining in the fun for a day filled with bouncing, birthday cake and party games. Our birthday guests get the royal treatment from our staff, including a personal party planner to make sure all goes smoothly. Our clean party rooms give guests a little privacy for their festivities before returning to the arena for more action. It’s a birthday celebration your child will never forget.